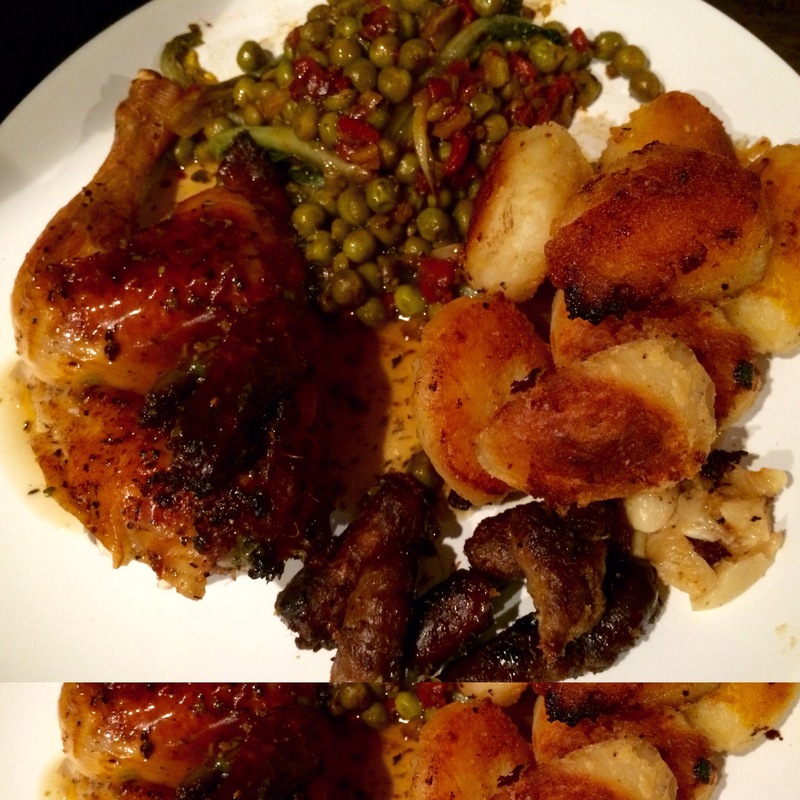 Home › Dinners/Suppers › Spatchcock poussin, roasties, mini merguez and french peas.. Or meat and two veg..
Spatchcock poussin, roasties, mini merguez and french peas.. Or meat and two veg.. The weather is yet to cheer up… Good walking weather though.. So a leetle food hug is needed..
Poussin.. The perfect bird for two.. The potatoes are boiled and tumbled in beef dripping and fine semolina .. The spatchcock poussin covered in salt and peppers.. the merguez straight from the freezer, chopped and tucked about the pan.. That will provide extra flavour oil..
Now what is tucked under the bird? That’s a flavour bomb right there.. 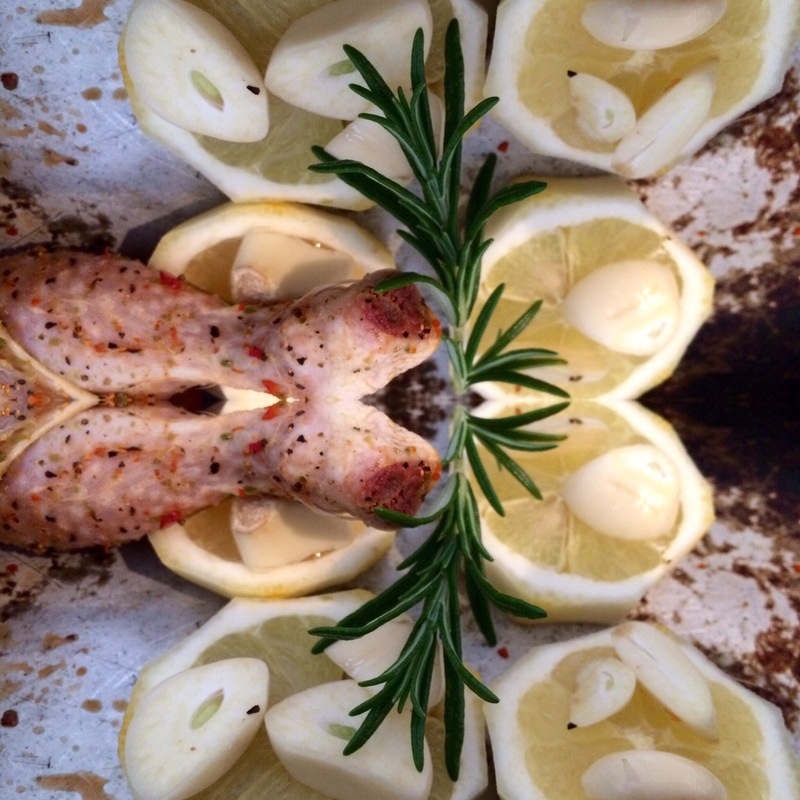 Lemon garlic and rosemary .. partners in crime.. Lousy at the end of cooking time.. The French peas.. Why are they called French peas? No idea.. That’s just what I know them by..
Chop the red onion very fine.. sliced roast red pepper , add the Ruby gem lettuce, using a bit of the stalk too.. Into the pan.. With butter .. 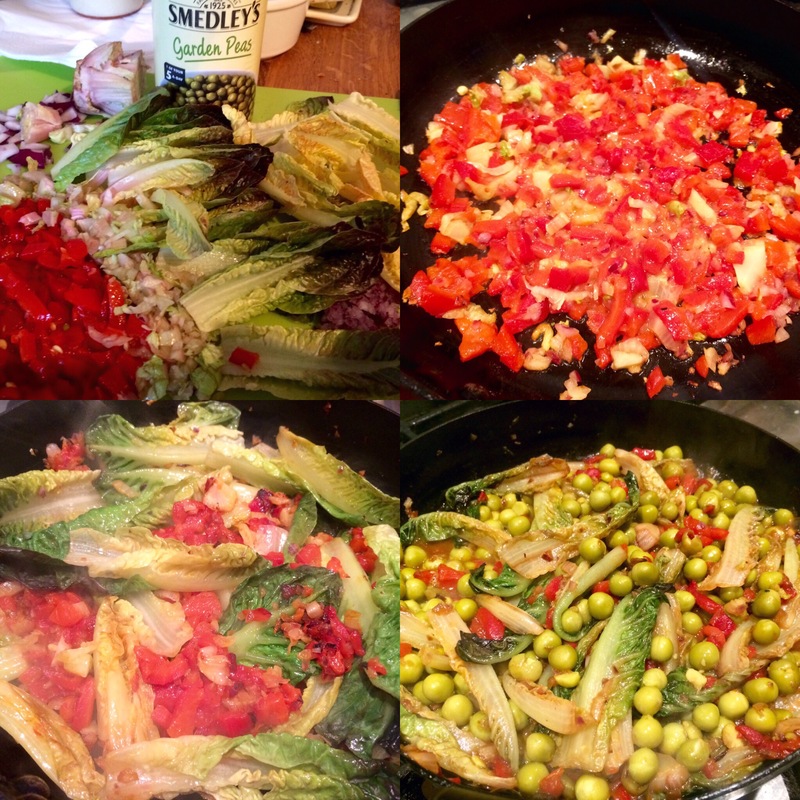 Adding the can of peas… It’s boils up.. And it’s done! Who could have thought that something so simple to do would taste so good? And all plated like it should be.. 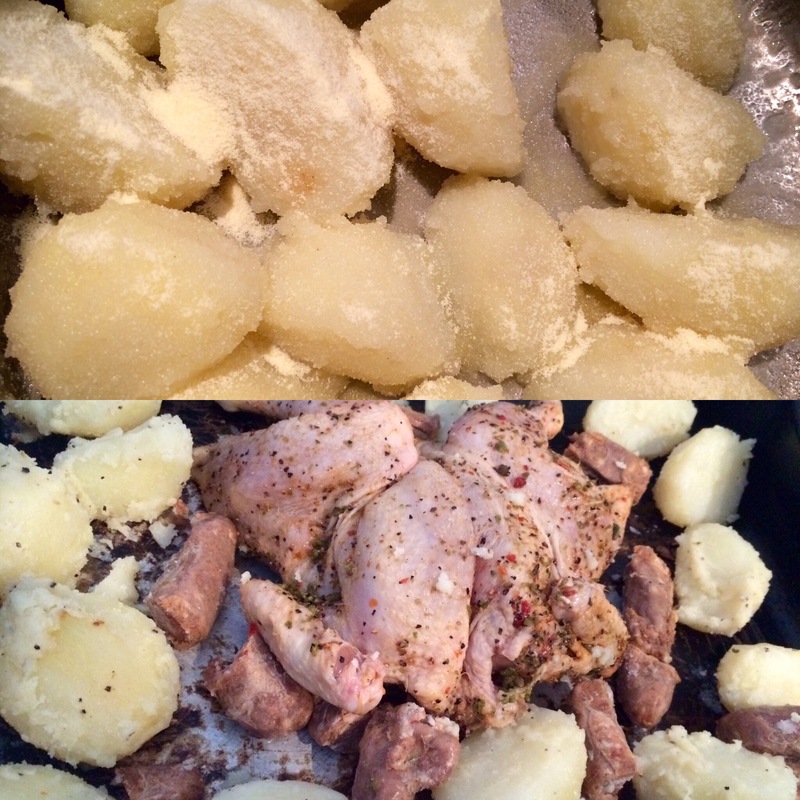 Tags: #anotherchickenrecipe, chicken supper, classic dishes, food hugs, meat and two veg, what is a poussin?